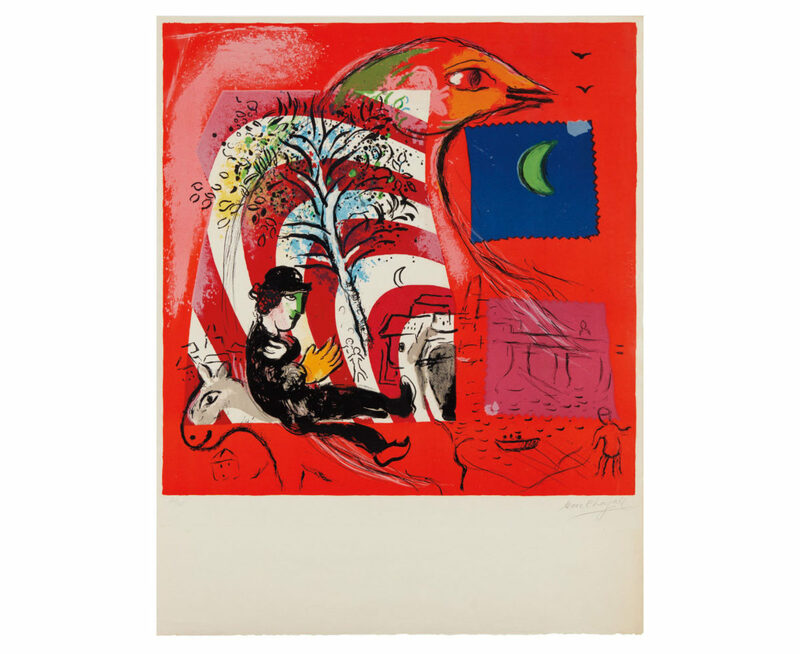 Celebrated for his distinct style and pioneering role among Jewish artists, Marc Chagall painted dream-like subjects rooted in personal history and Eastern European folklore. He worked in several mediums, including painting, printmaking, book illustration, and stained glass. Chagall’s style has been described as a hybrid of Cubism, Fauvism, and Symbolism, and his supernatural subjects are thought to have significantly influenced the Surrealists. Available at Phillips. 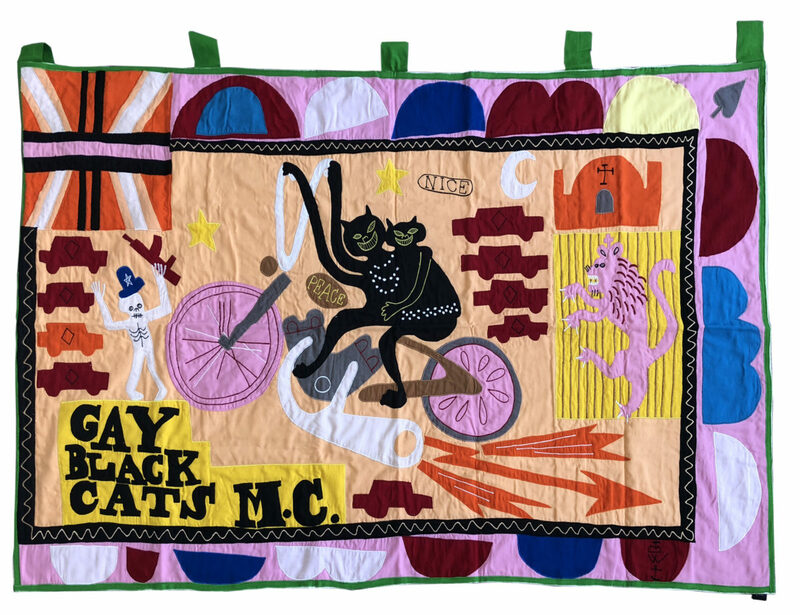 This handmade flag by contemporary artist Grayson Perry was inspired by Asafo flags, identifying markers made by 18th and 19th century militaristic groups, especially among the Fante in western Africa’s Gold Coast. Here Perry highlights his personal passion for motorcycles, envisioning this work as a symbol for an imagined biker gang. Available at Paddle8. Emerging favourite at London Fashion Week, Matty Bovan is becoming known for his use of unconventional fabrics in handmade pieces such as this multi-coloured patchwork-intarsia skirt. 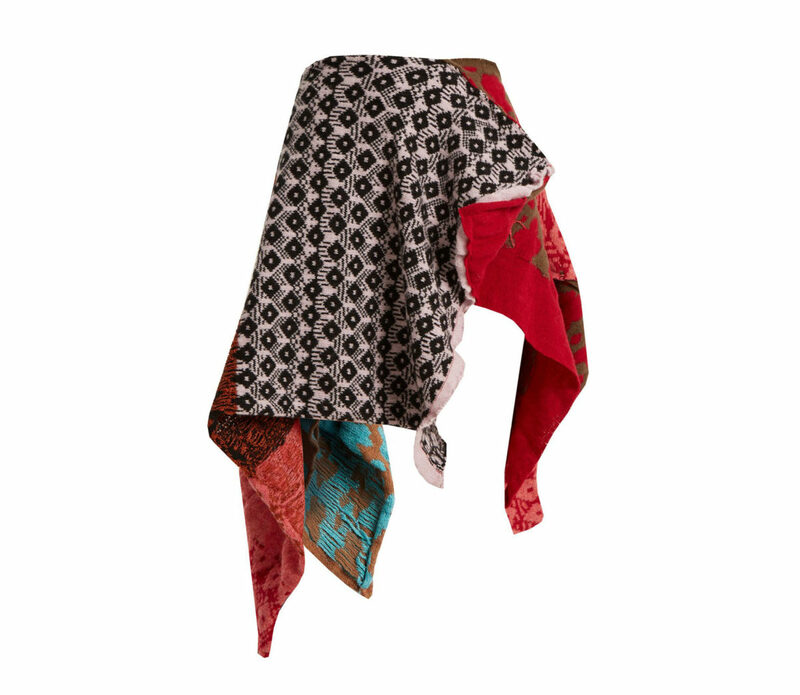 It’s crafted from a mid-weight knit and shaped with an elasticated back waist and asymmetric hem. Available at MATCHESFASHION.COM. Acne Studios reimagines the classic staple with the Ice Cube Cherry Sweatshirt, crafted from cotton in an over-sized silhouette, crew neck, featuring a large front melting ice cubes and cherry patch. Founder and Creative Director Jonny Johannson’s interest in photography, art, architecture and contemporary culture has cemented the label’s position as a respected creator of clothing, publications, furniture, exhibitions and special collaborations. Available at LN-CC. 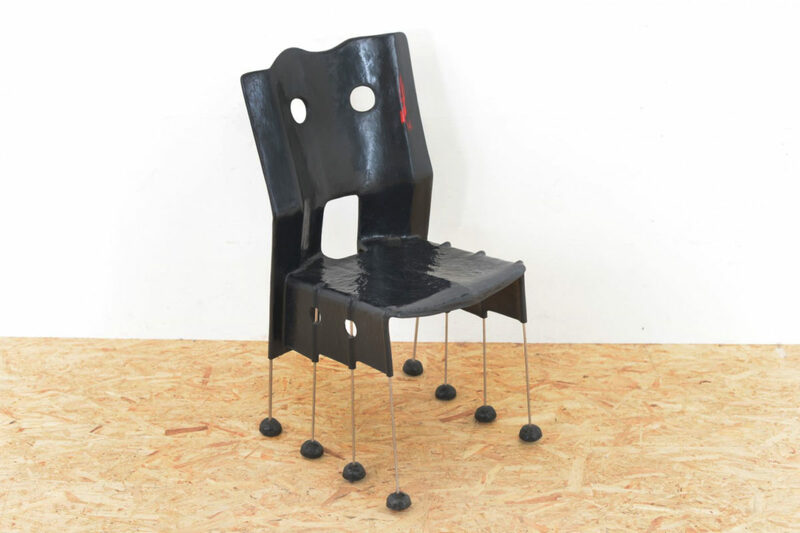 Gaetano Pesce was born in Italy in 1939 and studied architecture at the University of Venice. After graduating in 1965, he moved between London, Padova, Helsinki, and Paris, before settling in New York in 1980. From the beginning, Pesce’s practice has straddled the boundaries between art, design, urban planning, and architecture, always using his work as a vehicle to communicate his perspective on the world. Available at Pamono. Situated on a street that runs through the heart of the Spitalfields Conservation Area, the ground-floor façade of this vast property gives a nod to the neighbourhood’s commercial history, popular first with silk-weavers in Georgian times. 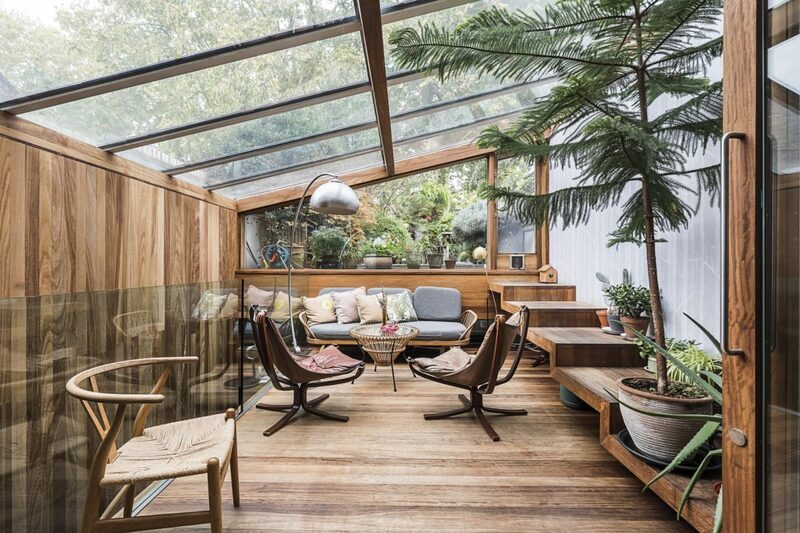 Indeed, this four-bedroom property has a significant design story itself, being sympathetically converted by renowned Consultancy firm Brinkworth, who’s brief when they took on the project for its artist owners was to maximise space and light. Available at Urban Spaces. Reversible Calf Hair Belt || TAKAHIROMIYASHITA TheSoloist. TAKAHIROMIYASHITA TheSoloist.’s namesake founder established the eccentric label on his own to maintain complete creative freedom. 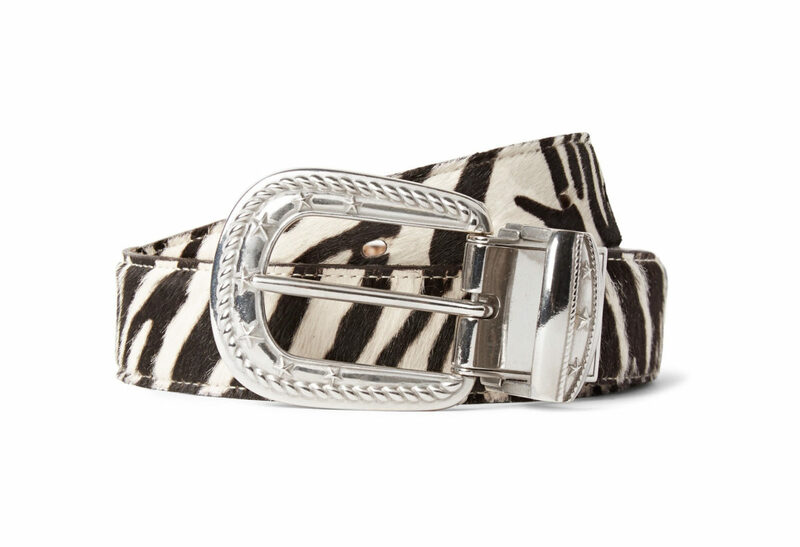 This calf hair belt has been crafted in Japan with a zebra print on one side and leopard on the other. It has silver star-embossed hardware and is cleverly divided into three sections, so you can mix-up the patterns. Available at Mr Porter. Jean Paul Gaultier is one of fashion’s most accomplished designers. After sending his imaginative sketches to Pierre Cardin, he was taken on as his assistant in 1970. By 1976 he was creating his own collections and soon earned the title as the ‘enfant terrible’ of French fashion. 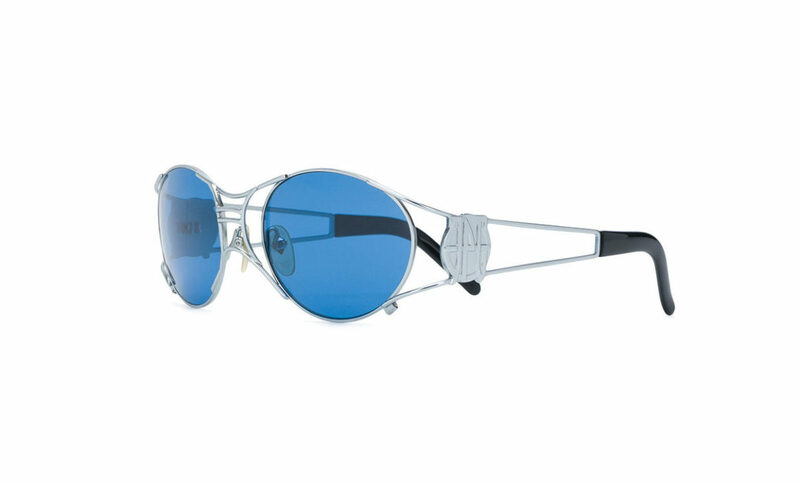 These silver-tone narrow cut-out sunglasses from Gaultier feature oval frames, tinted lenses, straight arms with curved tips and an embossed logo. Available at Farfetch. 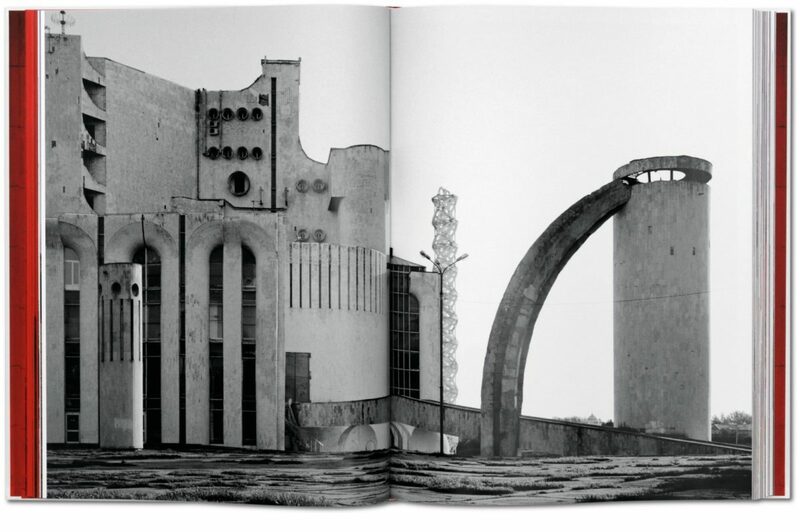 Photographer Frédéric Chaubin reveals 90 buildings sited in 14 former Soviet Republics which express what he considers to be the fourth age of Soviet architecture. His poetic pictures reveal an unexpected rebirth of imagination, an unknown burgeoning that took place from 1970 until 1990. Contrary to the 1920s and 1950s, no “school” or main trend emerges here. These buildings represent a chaotic impulse brought about by a decaying system. Available at Taschen. 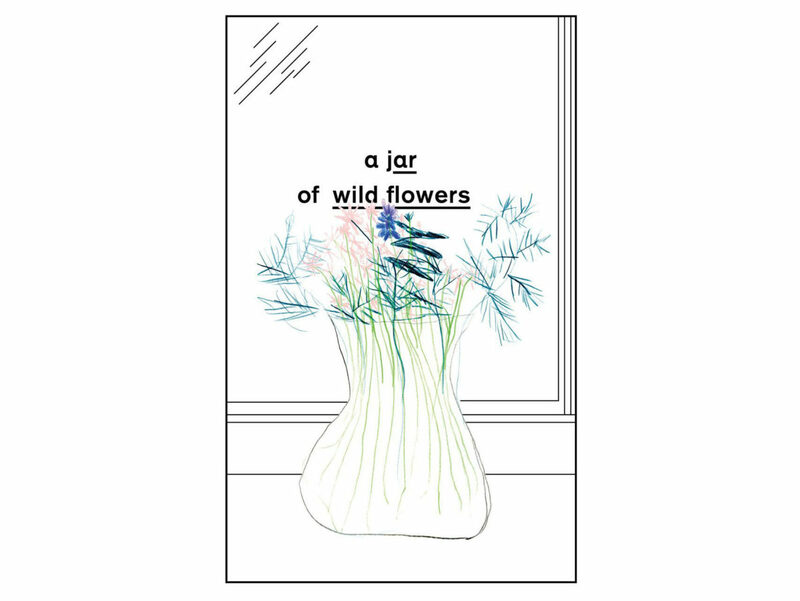 In this collection of essays on the work of, and conversations with, John Berger, thirty-seven of his friends, artistic collaborators and followers come together to form the first truly international and cross-cultural celebration of his interventions. Berger has for decades, through his poetic humanism, brought together geographically, historically and socially disparate subjects. His work continues to throw out lifelines across genres, times and types of experience, opening up radical questions about the meaning of belonging and of community. Available at ICA.